My picture, Who Laid the Egg? is free on Amazon today! To celebrate, I thought it would be fun to explain a bit about what it takes to write a picture book—at least, according to my experience! I was making breakfast, and my toddler was helping me ‘count’ the eggs we were using. We were practicing numbers. One egg, two eggs, three eggs. Where do we get eggs? Well, the store, usually—but do you remember gathering eggs at Oma’s? Of course, the idea needed a couple weeks to incubate, but somewhere around the end of November, I decided abruptly that I was going to make a book. I’m not a professional artist, but I’ve some art training over the years, and this idea seemed fun—and doable. So, I got out my sketchbook and started planning. 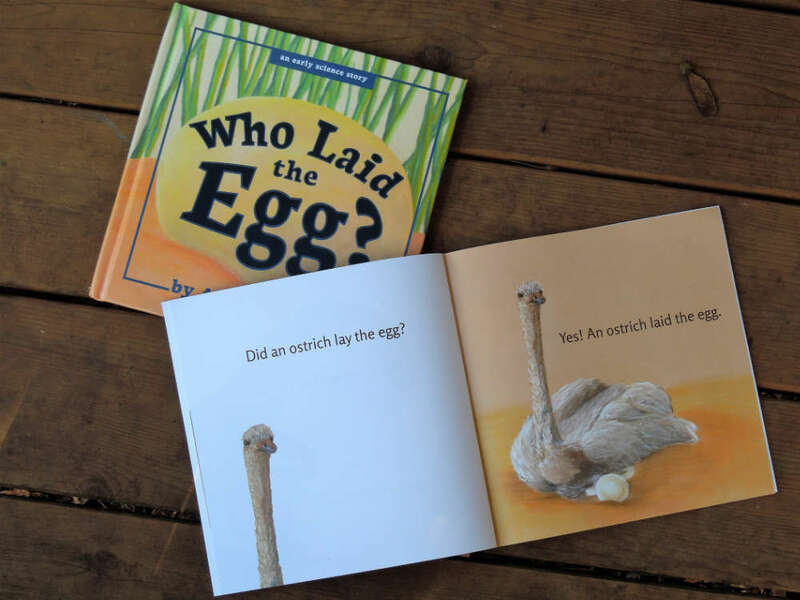 Writing a picture book—for me anyway—can be a bit of a chicken-and-egg conundrum. In theory, the best way to create a picture book is to write the text, polish it up, and then start planning the illustrations. That way, you build the pictures around the text; you know how much space you need for the text; and everything goes together smoothly. Unfortunately, once I have an idea, I start thinking in pictures. It’s almost like watching a Pixar short in my head! I see the book’s flow, figure out which screenshots to use, and then cobble together the text to fit. I’ve always described myself as an author/writer, not an artist, so it’s been intriguing and a bit frustrating to see the process get scrambled up this way. Fortunately, my egg story was fairly simple. Here is an egg—who laid this egg? Did a chicken, or an ostrich, or a frog lay the egg? My biggest challenge in writing and revising the text was to create a simple, flexible rhythm—especially since this book is meant to be read out loud! Once everything was done, I pushed the book out of the nest, and watched it take flight! After that, things got quiet again...and the nest felt a bit empty. So, I started working on another book (The Rocket that Flew to Mars). 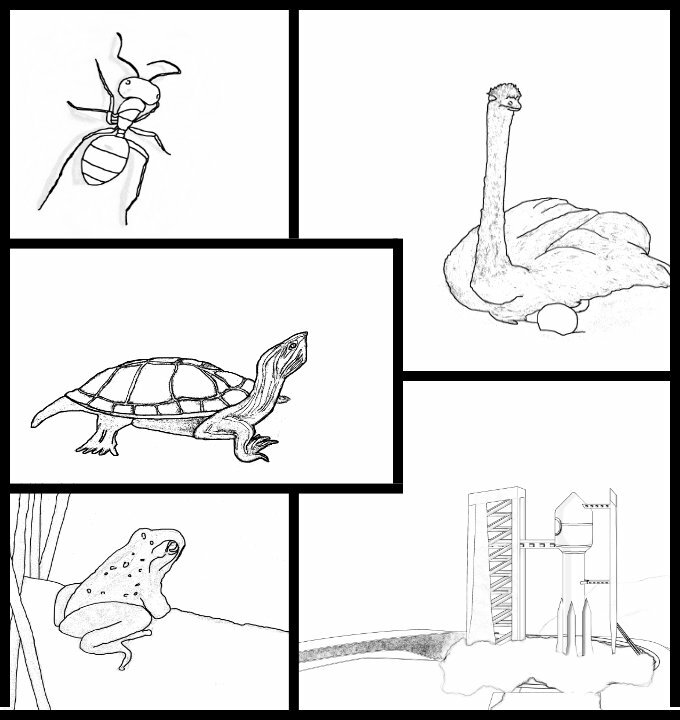 Now I have several more projects in the works, ranging from nature stories to tiny dragons! P.S. 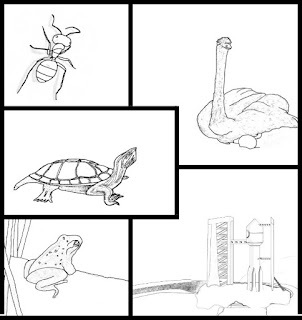 I've posted some of the pictures from my published books as coloring pages. If you are interested in more books, kids activities, and stories, feel free to subscribe to my newsletter. It's free, entirely confidential, and—I hope—entertaining!